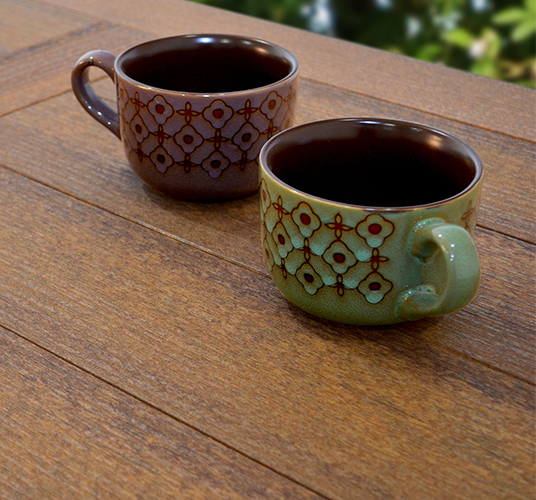 If you like farmhouse design, then you’ll love our Montauk Collection that brings the rustic feel outdoors. Featured in our textured wood grain Antique Mahogany poly lumber, it’s easy to forget the Montauk Collection isn’t real wood! This poly lumber furniture collection is made in the U.S. by Amish craftsmen and offers a low maintenance alternative to other materials. No matter what kind of seating you’re interested in, the Montauk Collection has something for your outdoor space with bar stools, counter height stools, chairs, and benches. And, to match your seating, the Montauk Collection Table and its farm style base fits right in with a paneled design and coordinating appearance that make entertaining easy. This collection uses a timeless silhouette and squared off edges in both the seating styles and tables. Spend night after night out on your patio with the stylish Montauk Collection in the great outdoors.